The holiday season is just around the corner. It is a busy time of the year for most families and sometimes basic safety can get overlooked. Here are a few home safety tips for this season! Nothing says “Merry Christmas” like the twinkling lights that adorn our trees and homes. It is important to inspect these light strings and throw away any with frayed cords, cracked bulb holders or loose connections. String lights can be dangerous if not in like-new condition. If you are leaving home or going to bed, be sure to cut off the lights to prevent overheating and creating a fire danger. Use a timer to cut the lights on around 7:00 and to turn them off around your normal bedtime. This will keep you from forgetting to turn them off and it will help control your energy consumption. When decorating for the holiday, NEVER plug more than one extension cord into another one. Use a single cord that is long enough to reach from the outlet to whatever you are wanting to plug in. When using cords outside, try to keep the cord off the ground and away from gutters. During this season, test your smoke alarm and carbon monoxide (CO)monthly. 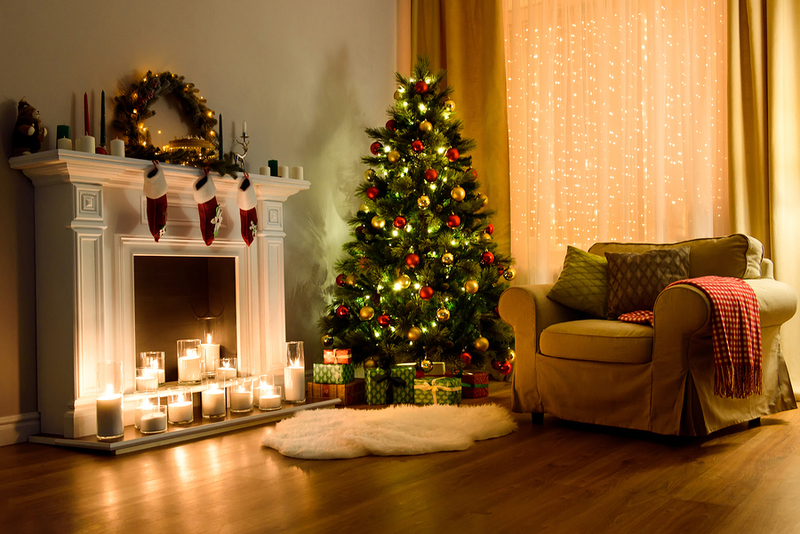 This time of year fireplaces, space heaters and the string lights are major fire hazards in your home. Make sure you have working smoke and carbon monoxide (CO) detectors working throughout the home. A decorated fireplace or mantel can warm your heart on the cold day, but items put near an open fire can get too hot and overheat. Keep all decorations away from the fire or heat source. Are you looking for a new home for the holiday season? Let Team Couch help you find the home of your dreams! Contact us today to learn how we can help you!